I have had 4 years experience working as a primary art specialist, and also exhibit and sell my own work. I am a big advocate in the importance of art education as it enhances academic performance as well as emotional resilience. This year I am running a range of art classes from my home studio. I design my lessons to teach students to make artistic choices and generate their ideas; as well as learning practical skills such as contour drawing and printmaking. I am also able to assist ATAR art students with their art assignments. Students will work with clay (firing is an additional small cost), mixed-media, watercolour and painting techniques, drawing, and perspective. Homeschool students will be provided with a brief report at the end of each unit. Cost: $96 (casual rate $15 per class) Classes run for 8 weeks. 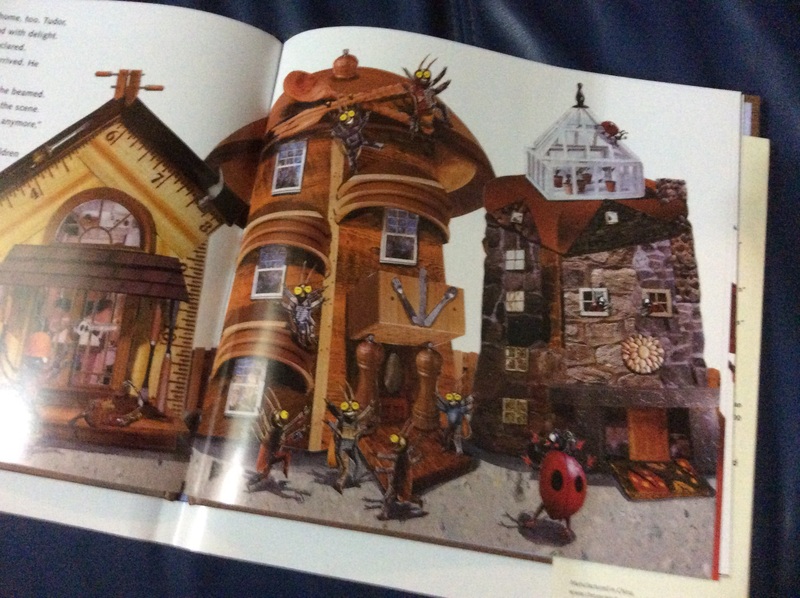 My grade 1/2 group read the wonderfully imaginative book, ‘Roberto the Insect Architect’, where Roberto the ant makes some amazing houses out of a junk pile, so that his friends can have somewhere to live. We discussed what a blueprint is, and why architects need a plan for their buildings. Children then made their own blueprints using blue paper and white oil pastel. The next project was to make ant houses out of recycled materials. We used generic recyclables, as well as bits and bobs from remida (I love that place- an industrial recycling wonderland located in Perth). I kept this size of the boxes small, as we were doing bug sized houses, after all. In retrospect it would have been interesting to collect tiny boxes like matchboxes- this could be linked with aerial view for older kids. By far the most interesting thing about this project was hearing what kids had to say about their ant neighbourhood. 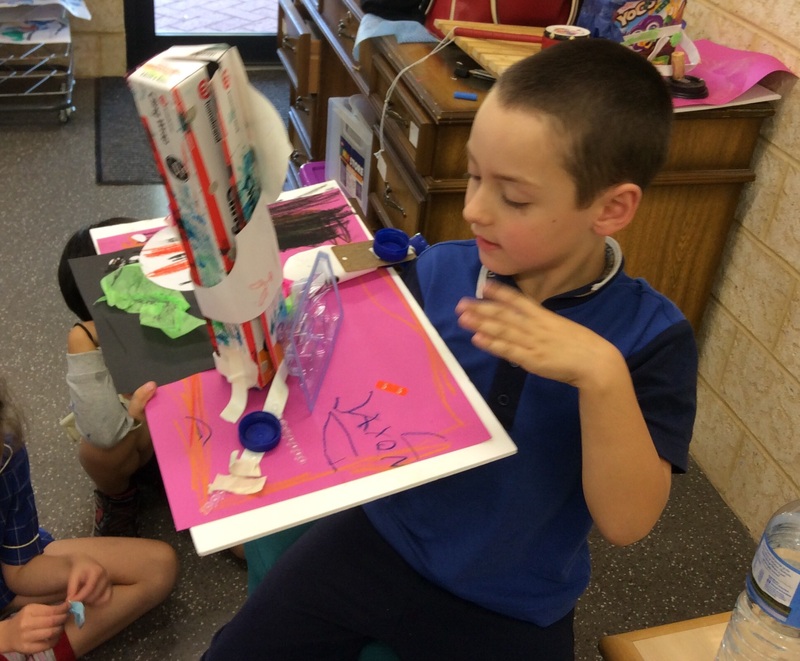 There were contraptions that lifted to reveal a transportation portal, slides, transparent walls…this leads me to another topic; play-based art teaching. There is a page on my Facebook devoted to this philosophy, and it’s really interesting reading about how children are given materials and perhaps a few ideas on what to do with them, and the high-level problem solving and creativity that results. We teachers are indoctrinated to feel a bit afraid of giving children too much choice, probably due in part to the significant and somewhat heavy burden of classroom management. Play based learning is done so well in the early years, it’s sad that things become so formal as children get older. It’s my opinion that they still need play to understand the world and lay down those neural pathways for new skills. My recent choice to homeschool my youngest son ( a whole other blog post, and impossible if I were not working at 2 very understanding and supportive schools)…anyway my son’s problems with reading (he has dyslexia)has lead me to research unschooling. Basically unschooling means facilitating enquiries based on your child’s interests, letting them have a say in what they want to achieve in homeschooling. This has lead me to re-evaluate how I teach art. It’s such a wonderful subject, because most children already have positive associations with art making (once again thanks to early years teaching!). 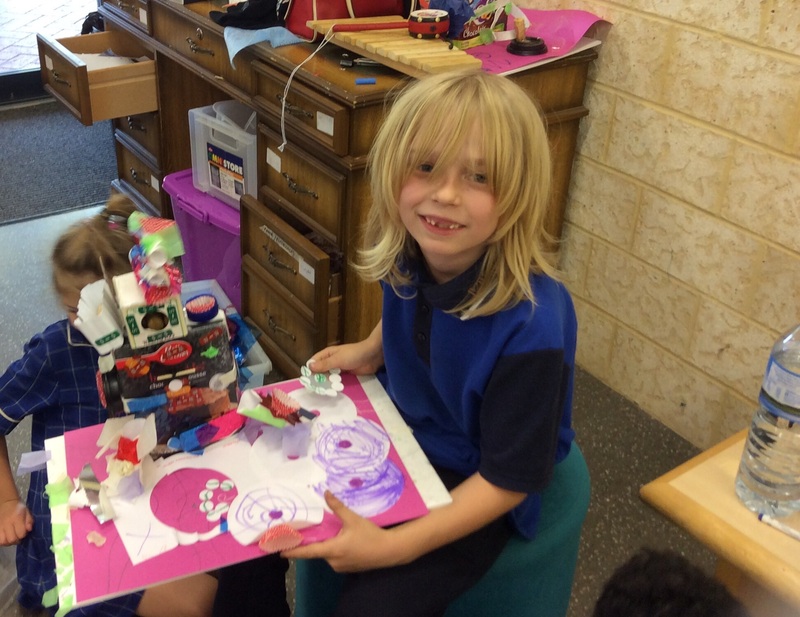 If I can make their time about the process rather than the end product, give them choice of materials and encourage purposeful play, I will see (and am already seeing!) kids kind of wake up, switch on, and become animated and engaged. This is the opposite to the step-by-step art programme where the work, impressive as it is, all looks the same, and resembles adult art, rather than the klunky experimental, messy child art that has a charm and sense of wonder if it’s own. 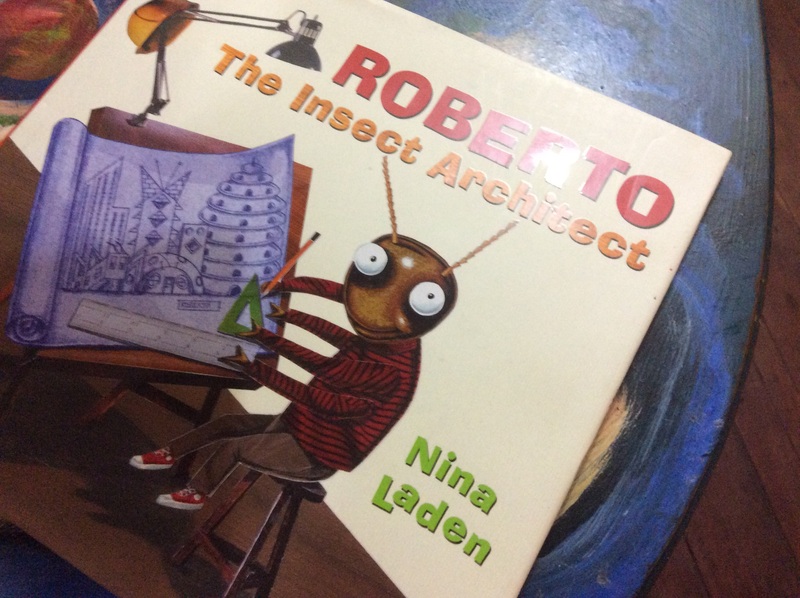 Back to ant architecture: this book (Roberto the Insect Architect) is long winded for grade 1s but is still very useful and the illustrations could send you on many other explorations including collage, inventing an insect character, puppets and more. Next time I will focus on the pictures and just read the important parts of the book to avoid squirmy children. Play based art teaching is a Facebook page hosted by George Szekely.